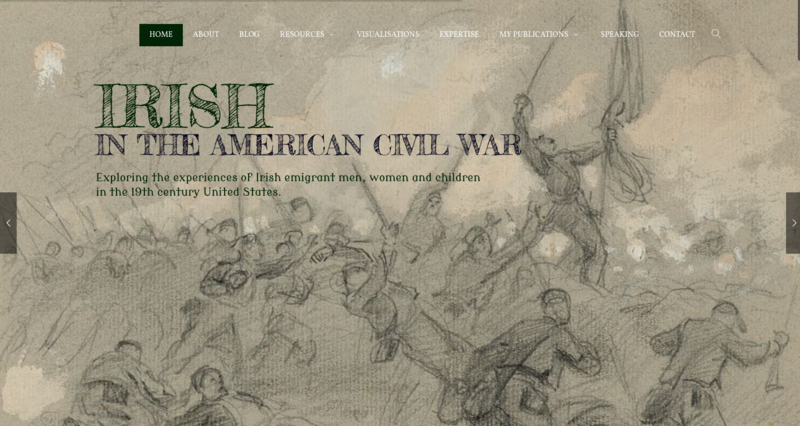 After seven years operating the site on wordpress.com, I recently took the decision to migrate Irish in the American Civil War to a new home at wordpress.org. There are a number of reasons for the move, but the main one is that it provides more flexibility for the future as the site continues to grow. As part of the move I have engaged in a complete site redesign. In addition to the ever-present blog and resource sections, I have added a new page looking specifically at visualisations. In addition, I have added some pages about my own publications and expertise. Please bear with me as I continue to tweak the site over the coming weeks. As readers will appreciate it is no easy task to move hundreds of posts and pages and around 1,000,000 words to a new home! Everyone who has subscribed to the site will continue to receive notifications of new posts as normal, and there should be no material difference in the way you experience and interact with them. I am happy to receive any feedback readers have, and I hope you enjoy the revamp! I bid welcome to your new site. 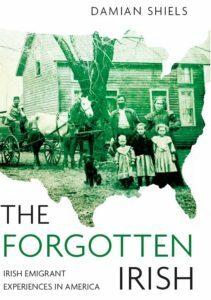 I have been a long-time fan, and am excited to read this offering. Huzzah! Thanks Meg I appreciate that!